I asked my good friend Nick Senior about the birth and growth of Subaru’s STi division. 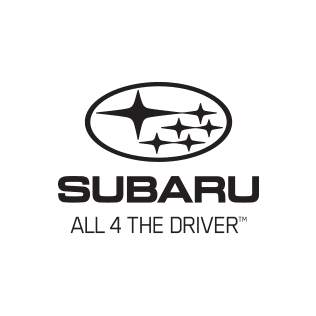 Like many car companies, Subaru innocently bred an enthusiastic, innovative team of people who wanted to take the brand into motorsport – for several reasons, but probably the most important was to prove the credentials and integrity of the company’s cars. In a way, Nick Senior has done the same thing. 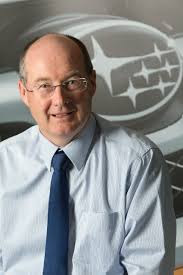 He joined Subaru Australia in 1991, fresh out of jobs as motoring editor of Sydney’s Daily Telegraph and Daily Mirror. In a very short time, he was appointed head of marketing, then general manager and before too much longer became Managing Director. Yes, it was a stellar launch path to the executive suite. But, along the way, Nick brought the enthusiasm of a motoring writer, the broader view of a motoring editor, and developed the maturity of vision which has served him well as a suit. I really admire Nick Senior and his achievements. Within a couple of years of his evolving executive jobs, I was convinced he had found his métier. He is now Managing Director of Inchcape Australia. Its parent company is one of the biggest automotive retailing companies in the world, and I am certain they are very glad they elevated Nick Senior to such a lofty position in the company. But, back to Subaru. As its Australian head of operations Nick took some really key decisions very early. He weighed in on the model and specification choices, and also the decision to only sell AWD variants, encouraging the use of the ad tagline “All 4 the Driver” – which among enthusiasts is a winner. It’s a matter of record that Subaru sales have grown impressively here in Australia, and quite frankly I put it down to his tireless drive to succeed. He is a quiet, innovative thinker, and a man who truly understands both the market he is selling into, and the products he has available to sell – and thus, their place in the market. Subaru is a significant brand in Australia, and much of that success is due to Nick Senior, his drive, determination and resolve – plus the team he surrounded himself with. Of course, when I was writing my recent post about the Impreza WRX STi, I flashed off an email to Nick about the ‘Fathers of STi’ and back came an instant reply that the enthusiastic development of sporting variants was down to two loyal, company engineers - Noriyuki Koseki and Ryuichiro Kuze. Both men have sadly passed away, but their legacy lives on in the current model, a truly superb effort to create a sporting car, with strong genes of integrity and performance delivery. Everyone connected with Subaru should take pride in that achievement.